Then We are required fit in all the related category items into the right car. 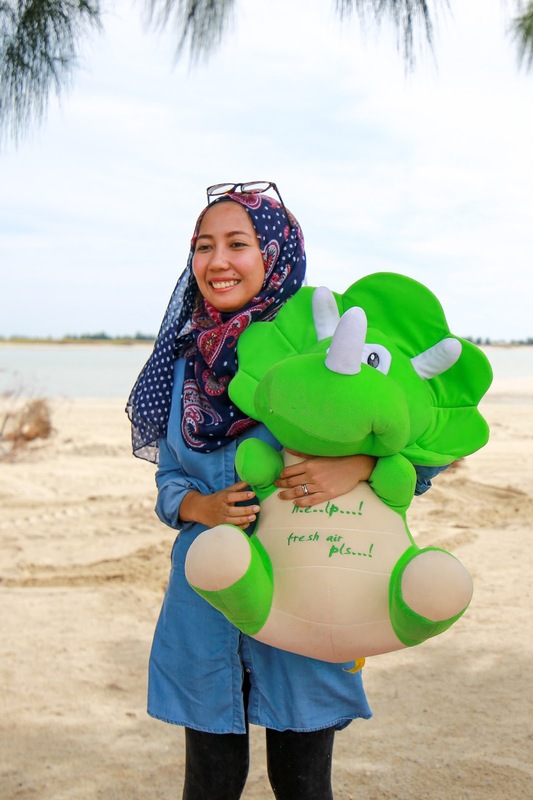 from the 1st check point we gotten baby dino, baby stroller, baby car seat, and with ISOFIX safety feature baby car seat will well-secure at place. Rear Air Conditioning & 2 USB point at the back seat. 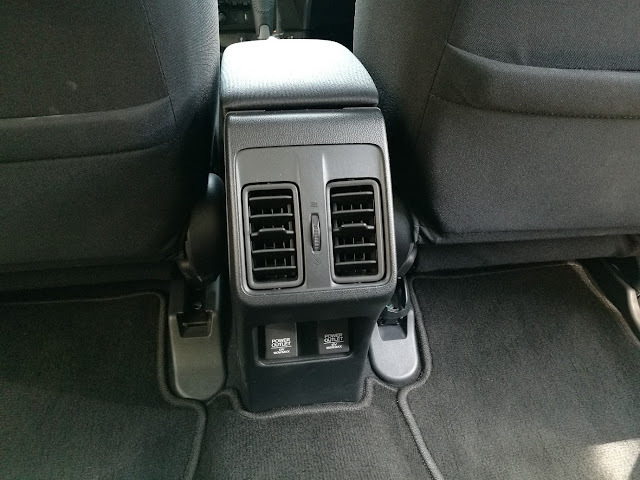 so back seat passengers can enjoy the trip well with gadget charged. 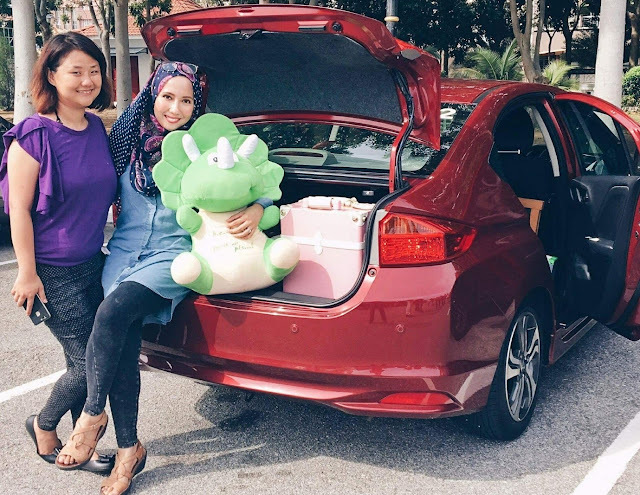 then the 2nd check point we gotten 2 packs of diapers, 2 shoe box, a box of toys and all this we put into car boot, boot space of the Honda City at 536L is the largest in its class, making packing for family road trips a breeze. 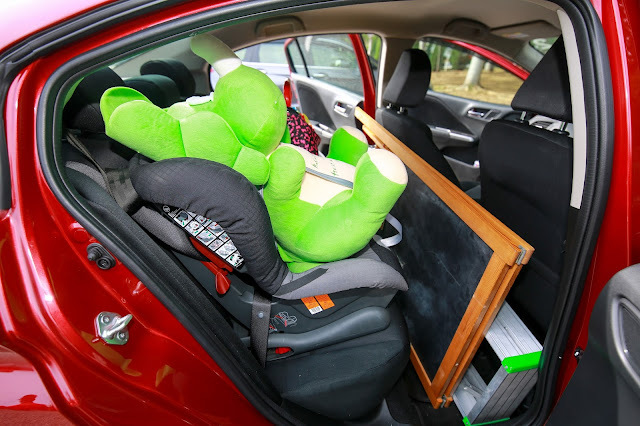 Come to the Last Check Point – We gotten a Ladder, a Big white/blackboard, and a Baby Walker, Back Seat is the spacious enough to put in all the bulky stuff with 1 passenger Sit in! Really surprise me as well. along the trip with Honda City, I feel very spacious space at the front seat, quiet , great for girl trip as well . Can Add in My Pinky Vintage Luggage Inside the Car Boot too! 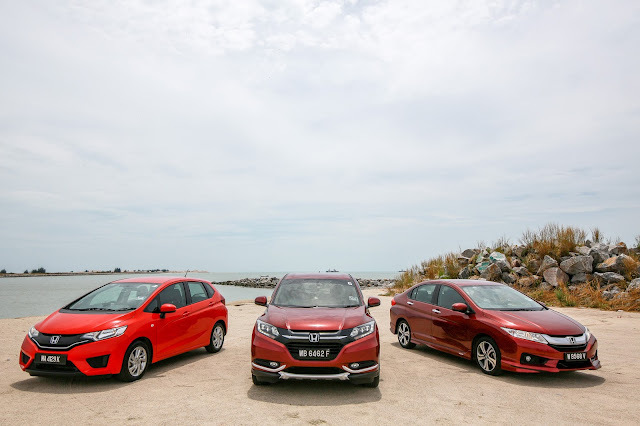 Do You Know That the Honda City contributed 41% of the Honda Malaysia’s total sales in the first half of 2015 securing the top position in its segment. 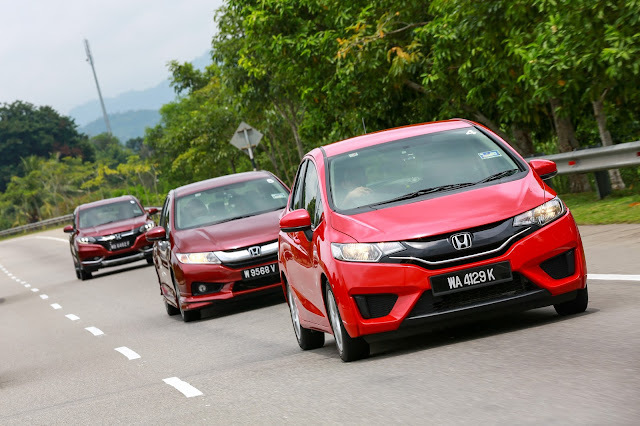 There are now more than 200,000 units of City on Malaysian roads. 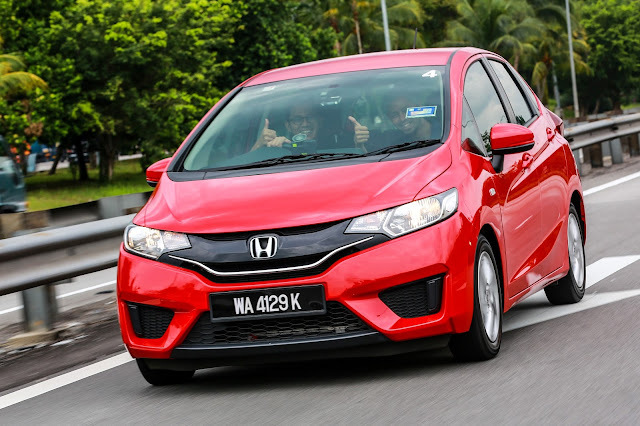 The 1.5L SOHC i-VTEC engine of the Jazz works seamlessly with the Continuous Variable Transmission (CVT) to provide dynamic performance and better fuel efficiency. The design concept of the bold and sporty looking Jazz with its sleek headlights, alloy wheels and rear combi lights has captured the hearts of its young customers with multi-faceted lifestyles. Versatile Magic Seats offers four different configuration modes which allow versatile usage of the space, they put in a Golf Set, Bicycle, Big Yoga Ball& Skate Board in to Honda Jazz without hesitate! With 1 seat down for passenger too!!! Versatile enough! The HR-V maintains its 1.8L SOHC i-VTEC engine. Combined with the Earth Dreams Technology Continuous Variable Transmission (CVT), the HR-V with Energy Efficient Vehicle (EEV) status, offers fuel efficient performance and a smooth driving experience. 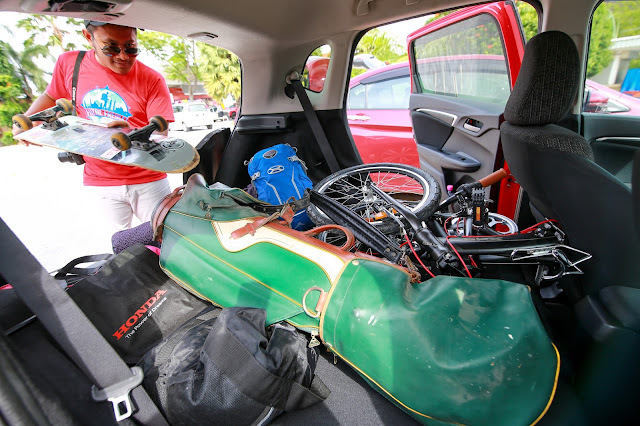 Boxes & Travel Luggage is their main items for Traveler in Honda HRV, so they still manage to fit in everything with also 1 seat down! 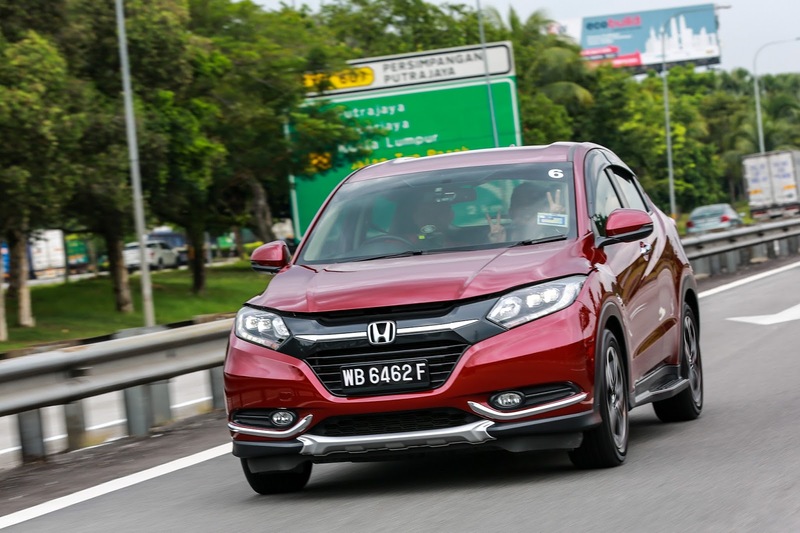 Practicality remains a big plus point for the HR-V. Through the Multi-Utility Cargo Space, various versatile rear seat configurations from Utility Mode, Tall Mode to Long Mode can be adjusted to meet the needs of all lifestyles and uses. Advanced technology features like the Automatic Brake Hold and Electric Parking Brake for a seamless driving experience is made available for all variants. 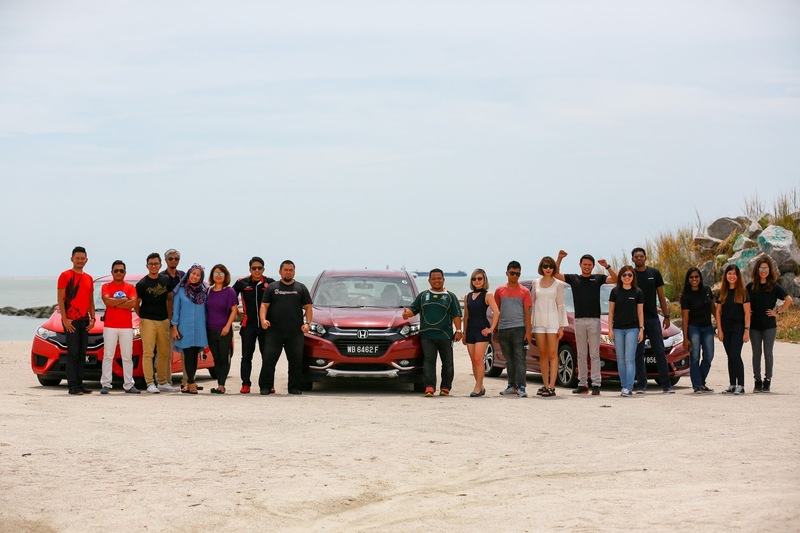 I love the higher eye level of Honda HRV, better view and very stable in all kind of road trip no matter is highway or kampong route. Thanks Honda I start to miss everything, everyone from the trip. Hope the trip never end!